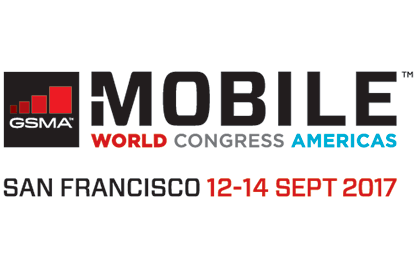 We’re happy to announce that 1oT will be attending Mobile World Congress Americas 2017 (MWCA17) in San Francisco from 12 - 14 September. MWC Americas will debut at Moscone Center and will be the premier mobile industry event for the Americas. 1oT is super excited to take part of the congress featuring industry's leading experts and cannot wait to attend its exhibition showcasing cutting-edge mobile technologies, products and services. We are happy to demo our solution to IoT device makers and prominent MNOs to find long-term partners for cooperation. For IoT device makers: we would be happy to demo our global 1oT SIM (2G / 3G / 4G) and self-service based connectivity management platform (1oT Terminal) with powerful API. Our service enables to combine endless custom pricing plans to meet every specific need of a global IoT device maker. For MNOs: in addition to 1oT's own global SIM card, we are directly reselling third party MNO SIMs that can be monitored & controlled via 1oT connectivity management platform (1oT Terminal). Let's partner up and negotiate reselling terms! For MNOs & MVNOs: additionally, 1oT is licensing its connectivity management platform to MNOs & MVNOs (Platform-as-a-Service model), which enables operators to address B2B & B2B2C business models and is an unavoidable tool to start monetising IoT/M2M connections. Please read more about 1oT from our latest press release, check out our webpage or contact us directly at sales[at]1ot.mobi. Reach out and let's have a chat at the congress or anywhere in Bay Area!